Beautiful, they are standing up to the extremists! When all that says 'it is good' has been debunked, what says 'I want' remains. I thought all Muslims were tolerant of other religions and cultures and that it was only the Islamaphobic media that perpetuates the myth of Islamic extremism? Good that you finally caught up with reality. GJ Egyptian bros. Wish it was like this more often. Problem is that the recent massacres are going to strongly enhance the resolve of current MB supporters and invariably shake the confidence of those who believe in the transitional government. Even if the MB gets cleaned out, the government will probably start cracking down on people who condemned the state-sponsored killings... and effectively bury the Egyptian Revolution. It's not the first time that this has happened as Christians did the same to Muslims when they were praying in the street they formed a chain to protect them. Muslims need to protect Christians in situations like this. 'On many levels, mathematics itself operates as Whiteness. Who gets credit for doing and developing mathematics, who is capable in mathematics, and who is seen as part of the mathematical community is generally viewed as White' - Rochelle Gutierrez, Professor of Mathematics at the University of Illinois. It's not the first time that this has happened as Christians did the same to Muslims when they were praying in the street they formed a chain to protect them. They formed a chain to protect them from who exactly, other Christians or themselves. Is this some kind of a circle jerk. Nice. 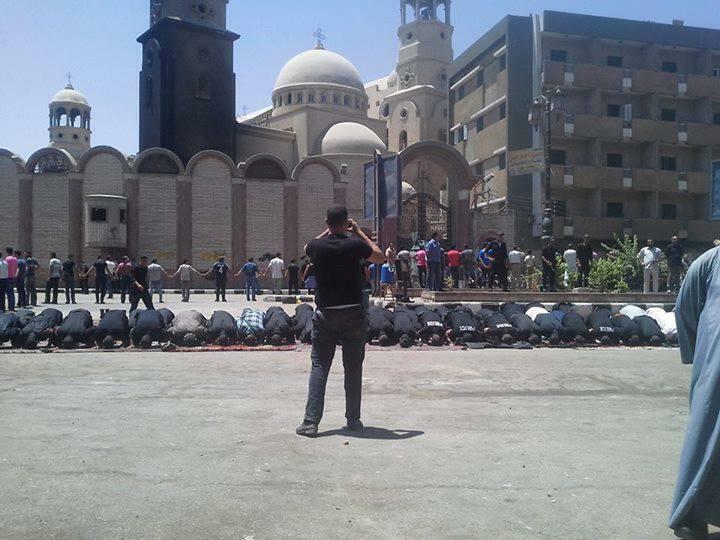 Remember when the Christians made a human chain around praying Muslims on the Tahrir Square. Nice gestures. They are protecting it from baltagia. That is who is doing all the burnings. Baltagia are supporters of ex dictator Mubarak , and they have been behind a lot of the stuff getting blamed on Islamists. But of coarse you don't care about that. Last edited by eltigar; 08-17-2013 at 05:31 PM. 3 cans of tuna a day crew. Finally figured out the headaches crew.